As we all know, communication these days is still changing. We might think that the whole world is Microsoft and .Net. Well last month I have seen again that this is not the case. We had a customer who had a website running on Linux and programmed in Java, which we had to integrate with AX. This meant that WCF inbound messages could have been a solution, since they already had XSD available on the java website. Generating XSLT and AIF in and outbound could be a suitable option in this case. But suddenly I started thinking… why do we always map external XSD on Microsoft Dynamics AX XSD? Why not consume their XSD straightaway? This is quite possible, but more items need to be taken into consideration.For example security: why should the customer have to open their firewall at company site to provide access to AX from the external website’s point of view? One might ask why not use the azure bus adaptor from AX? In my opinion, there are too many external obstacles to get this one up and running quickly. One has to understand additional topics like Microsoft ADFS and Claim based authentication. All these points make you think that we are on the wrong track. After quite some experiments, we came with the following solutions. The next diagram describes the global architecture. The Service Bus acts like a message queue somewhere out there in the world. 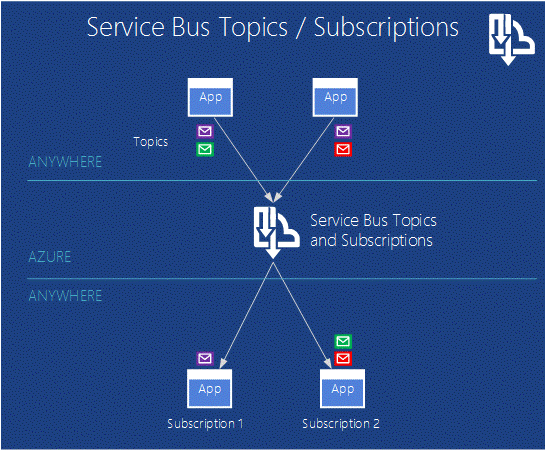 Dynamics AX is just an App that can push and pull messages to this service bus. If all those apps also use the same data format structure, life becomes easy. That is why we decided to use JSON. After that I created two methods for sending and receiving the message. If you look closely, you can see that the trick is the DataContractJsonSerializer class. This class wraps my classes to the content that we call JSON. Now all we have to do is the actual send and receive method, which also needs some configuration stuff. This is added in the next part. 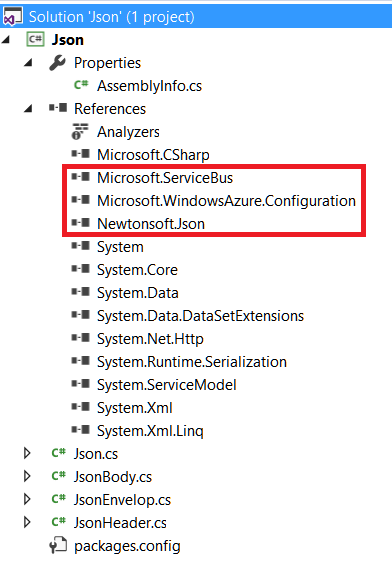 Because we use a special library like JSON and azure bus, you cannot hook in the visual studio project directly in the AOT. At compilation time, Dynamics AX cannot resolve it. So you have to do it old school and copy all DLL files to the server Bin map of their AOS. Subscribe to our newsletter and get our latest blogs straight to your inbox and if you have any questions, don`t hesitate to contact us.